Facebook users share 2.5 billion pieces of content every day. And, the popular social media site is changing the rules again for business pages, but this time it’s not necessarily a bad thing. In a recent blog post, Facebook shared new testing results that show, the more text-only status updates people see, the more they share. However, a text-only status update from business and fan pages did not produce the same result as the same status updates from regular users. Because of this, Facebook has decided to pull back on text updates from Pages. So what should marketers do? Use the tools below to curate and create shareable content for Facebook pages. Focus on media content and link-based content. Use tools like AllTop and Scoop.it to find relevant news stories and trending news. Facebook recommends using its link share tool rather than embedding a link in the text of the update. The link tool offers a better media experience for the user. Include topic relevant hashtags in posts. Use relevant hashtags in status updates so content appears in user searches. Tagboard is a tool to help analyze a hashtag in Facebook, as well as across several platforms like Twitter, Instagram, Google+, and Vine. Once a valuable hashtag is identified, look for opportunities to engage with others who are using the hashtag. Use images to share marketing messages. Tools like Picmonkey and Pinwords can be used to create text-based images with photo backgrounds. Use these tools to share marketing messages but also to tap into creating content around national holidays. Quotes tied to influencer holidays, like Martin Luther King, Jr. Day, demonstrate a commitment to community, and help boost engagement and page awareness because they appeal to important audience social triggers. Use images to share testimonials and reviews. Marketers have long been advised to keep self-promotion to a minimum, but it is important to add customer testimonials and reviews to the content mix. There are two opportunities with this. 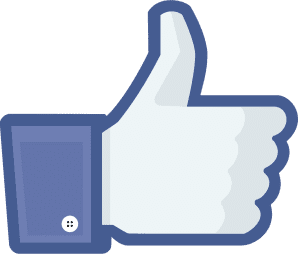 Share positive feedback by embedding Facebook posts in other digital marketing channels, and cross channels by embedding other social media comments in the Facebook page. In the example below, the screenshot of a LinkedIn comment is saved as an image and used in a Facebook page status update. Use Facebook photo albums to tell the business story. In a recent post, we shared one strategy for taking customer testimonials and sharing them across multiple digital channels. For our client, we compiled customer testimonials from the company’s Facebook page and created images of the testimonials using Pinstamatic. For this company, Facebook was the primary resource for customer feedback. We created a photo album of all of the testimonials, optimized the content on each channel with keywords and backlinks to the company website, and drove new visitors to the website. This has your brain going doesn’t it? Use the ideas we’ve shared to update your content calendar and master Facebook’s new page rules. Return the favor and share your own ideas in the comments! A version of this post first appeared on www.mymarketingcafe.com. Thank you for this. My only concern has to do with the sharing description. When I’m logged into Facebook, even when I switch to my business ID, sharing to Facebook from a website via the share button (which is what I’m guessing is the “share tool” allows me to post it to my business page, but only as if from my personal profile, not as my business profile. Posting from “Paula Popper” onto my business page has an entirely different effect on how it appears on the page and how it shows up in notifications. I want to be able to share to my page as my business-self. I am contacting Facebook about this. It may be that they have the how-to buried somewhere and this is possible, but the only way I’ve found so far is to embed the post in a status update, which they explicitly say is not the way to do it to actually show up in personal news feeds. I hope we can figure out the steps to make these things work for businesses. If not, then Facebook will rapidly move down the ranks of useful social media sites for business. I am amending my comments above…how I described it is how it worked up to yesterday, evidently. I was still fussing with this issue as of yesterday. Today, I attempted it and it now gives you an option, after you select post to page you manage and select your page. That option is to post as yourself or post as your page. That works. We’ll see if it follows all the way through the various incarnations of sharing links.